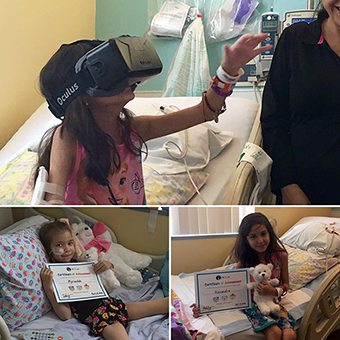 VR Kids is dedicated to bringing our therapeutic virtual reality to hospital bound and mobility impaired kids. VR Kids is a nonprofit organization based in Las Vegas, Nevada. We are dedicated to providing our custom developed therapeutic virtual reality (VR) experiences to mobility impaired and hospital bound children, teens, and young adults. 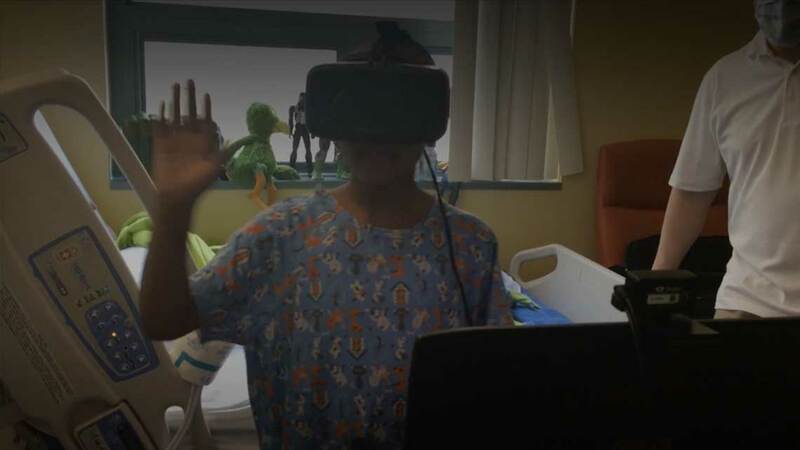 Whether at home or in a hospital, we bring virtual reality to kids at absolutely no cost. We believe therapeutic VR should be accessible to enhance the lives of children who could benefit the most. Our customizable experiences are built to be relaxing, friendly, fun, and are optimized for those who spend most of their time in a bed or chair. Our unique therapeutic VR takes focus off discomfort and anxiety that accompanies extended hospital or home stays, medical treatments, and procedures. Through our custom made immersive storybooks, viewers can travel to exciting places, meeting funny characters along the way, exploring a new world around them; all the while being mentally and emotionally transported to a fun, positive and relaxing space to play. Our therapeutic virtual reality is not only immersive and entertaining but also provides relief from pain and anxiety. The experience is complemented by the exciting immersive effects of the Oculus Rift. 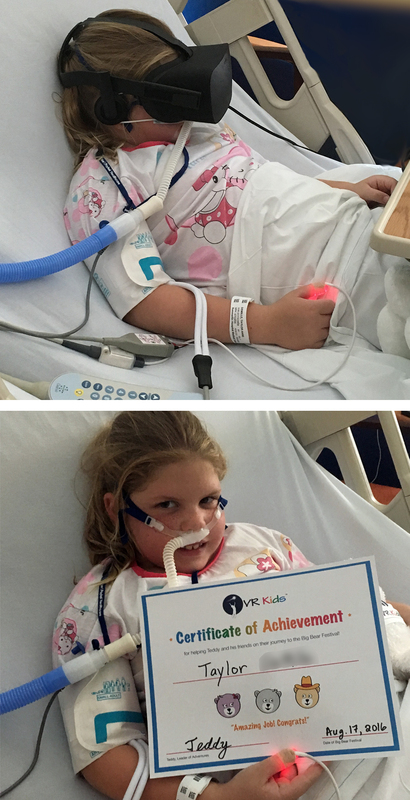 VR Kids is a non-profit organization that relies completely on private individual and corporate donations. With your generous contribution we will be able to expand our programs to reach more kids. Receive our FREE VR Kids Newsletter!